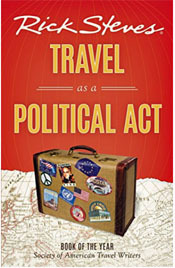 Rick Steves, in his book, Travel As a Political Act, echoes Twain’s sentiments as he presents an in-depth view of conclusions he’s deduced from his decades as a travel celebrity and writer. He has taken this opportunity to ask uncomfortable questions that Americans need to hear, ponder, and consider. This nice, Norwegian Lutheran boy from Edmonds, Washington freely shares his 35 years of observations on travel, religion, social issues, and politics. His premise that travel changes the way you “see” the world echoes Mark Twain, who also wrote from a travel writer’s perspective. The colorful pictures of smiling faces in this book offer an uplifting visual message, while Travel As a Political Act describes some sobering global situations. 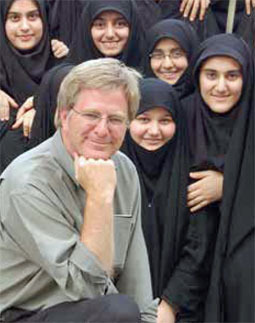 Using examples of both social and political issues in Yugoslavia, Europe, El Salvador, Denmark, Turkey, Morocco, Iran and the Holy Land (Israel and Palestine), Rick Steves suggests new ways to think about poverty, religious tolerance, and the legislation of morality. He believes that we travel “to have enlightening experiences, to meet inspirational people, to be stimulated, to learn, and to grow” and that this enlightenment and growth can come in disturbing ways. This kind of thoughtful travel can have a deep impact. When we see America from a foreigner’s viewpoint, we learn a lot about ourselves as we begin to see ourselves as other see us. He believes that the most powerful thing an American can do to combat terrorism is to travel, learn about the world, and bring home a more enlightened perspective. No matter who you ask, from a university professor to a diplomat to the man-in-the-street, Steves says you can always find a different interpretation of events, all presented as fact. 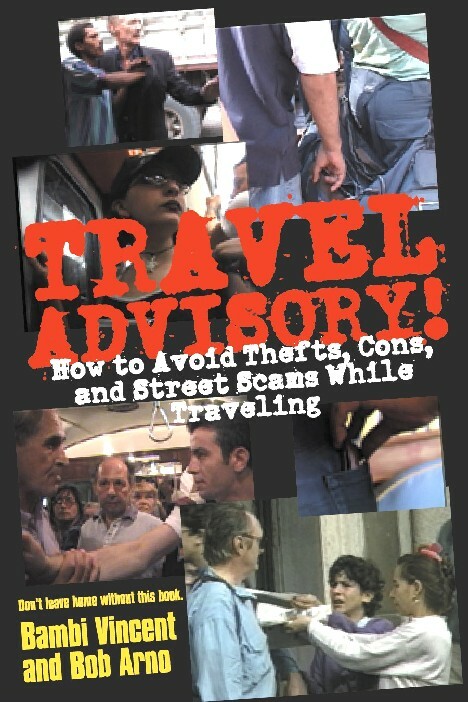 Travel will expose you to different thinking about our society, our rights, and our businesses. While the US perspective is focused on what’s best for business—our capitalist nature—European countries focus more on what’s best for people. European governments focus more on what’s best for the environment, the poor, and the long-term interests of society. European citizens have a balanced work/life that enables them to enjoy more vacations and family time. His take on wars and the US position of “policing the world” makes you think about both military and fiscal policies. He makes a strong argument for peace and an awareness of viewpoints that both respects and celebrates diversity. In his in-depth and insightful chapter on Iran, he says, “From a Western viewpoint, it’s disrespectful (at best) to impose these regulations on women. But from a strict Muslim perspective, it’s the opposite: Mandated modesty is a sign of great respect.” It’s all about perspective. In this book, Steves explains that immigration isn’t just a US issue and how both Europe and the US can all learn form each others’ successes and failures. Steves reminds us that nearly one in four persons on the plant prays to Mecca and includes a humorous story about introducing his Norwegian Lutheran father to Islam. As well as travel as a political act, Rick Steves suggests that travel can also be a powerful spiritual act. In the final chapter of Travel as a Political Act, Rick Steves challenges us to not only learn from our travels, but to find ways at home to share what we’ve learned, raise thoughtful conversations, and act on a daily basis in ways that encourage good global citizenship. He encourage us “to learn from other societies who are thinking out of the box to deal with problems that also plague our society.” He sees a need to address the challenges of our Global Age honestly and wisely so that we can better address and resolve the problems of famine, war, religious differences and poverty in today’s world. 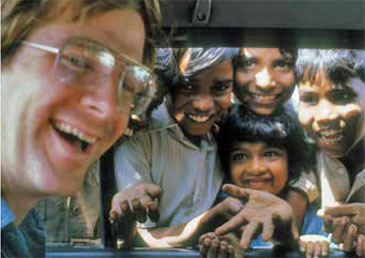 We admire Rick Steves, who began his travel career as a “hippie”-looking young man backpacking through Europe and subsequently built a thriving, successful business. A business that has enabled him to become a media spokesperson for tolerant values, a curiosity that educates, and bringing new ideas home for discussion. Rick Steves’ book reminds us that “as a traveler, you always have the option to choose challenging and educational destinations.” And he challenges us to share at home our new experiences from abroad. 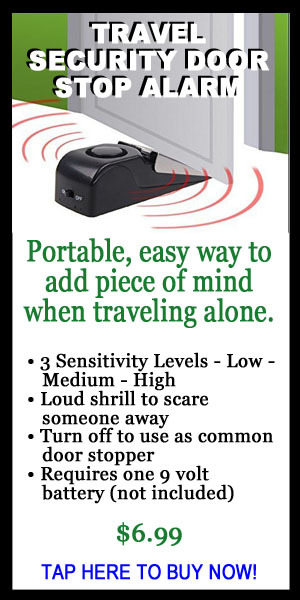 “You can travel with your window rolled up…or your window rolled down,” he says. Journals from Rick Steves’ insightful trips to Central America are online at ricksteves.com/politicalact. 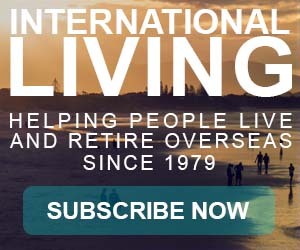 For contact information for his Palestinian and Israeli guides and for a list of companies doing “dual narrative” tours of the Holy Land, see the TV section of ricksteves.com. 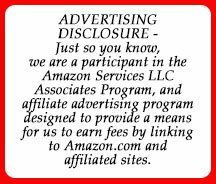 For the latest on Rick’s lectures, guidebooks, tours, public radio show, and public television series, contact Rick Steves’ Europe, 130 Fourth Avenue North, Edmonds, Washington.